While there are undoubtedly favorite natural stones that dominate the natural stone industry, it is not enough to fill your inventory simply with one type of stones. Many homeowners use more than one kind of stone color for their kitchen countertops to create an interesting design contrast. Since your customers will be looking for many stone colors from colonial gold and uba tuba granite, to veiny white marble, it is best to fill your containers with a range of slab options. If you do not offer enough of a range of stone colors and natural stone options, your customers might go elsewhere to outfit their kitchens. We always advise homeowners to devote as much time as possible to visiting the slab yard and viewing each granite, marble, and quartzite slab, so you should make sure that you possess enough inventory to keep them busy and meet all their needs. Slabmarket.com advises all natural stone countertop fabricators to fill their containers with a selection of the popular stone options that dominate the natural stone industry. This should include slabs of many available colors and shades of marble, granite, and quartzite. Marble is mostly white and grey with a few stone colors that are darker and bolder but it is most known for the ones with white with grey veins. Quartzite tends to be gray and white, but granite is available in a wide range of stone colors. Popular granites to select are colonial gold, giallo ornamental, fantasy white, and uba tuba, to name a few. 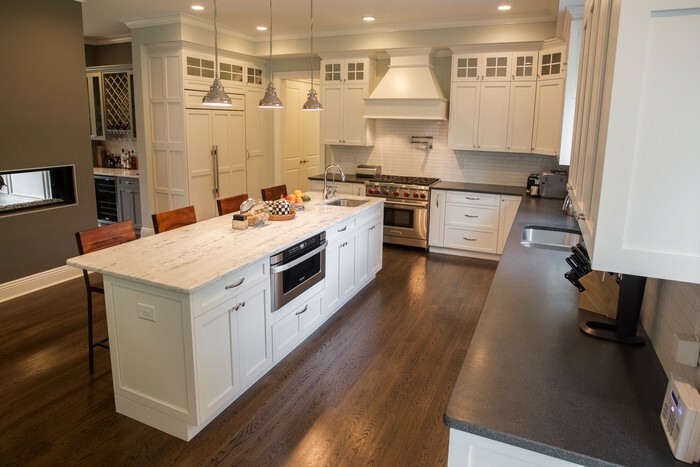 Containers should be filled with both light and dark colored granites so that customers can achieve the contrasting look of light and dark granite countertop colors that continues to be a common trend for kitchen countertops. Granite dominates the natural stone industry because of its durability and strength. The uniqueness found in each slab of granite is unmatched in beauty to that of an engineered stone. Customers prefer granite over marble in many cases because it requires less maintenance and only requires sealing one to two times a year. A common trend seen in American kitchens is to use one granite color on the center kitchen island and another stone color for the perimeter countertops. Similarly, some homeowners use a gemstone accent island to add a pop of color to their kitchen in juxtaposition to a more neutral white colored granite. You will not need to fill your containers with as much gemstone as granite, but it is nice to have the option available for your customers. You will discover that customers will look for both marble and granite, so it is important to stock your containers with marble as well as granite. While marble always requires more maintenance than other stones, it possesses an inherent beauty that will keep customers looking for it year after year. Calacatta marble and statutario marble are popular options to fill your container with, as well as white carrara marble. Many homeowners long for the look of marble, but hesitate to install marble for the entirety of their kitchen countertops. These customers often use marble on a low traffic area and install quartzite or granite on the rest of their kitchen countertops. Quartzite is another popular stone that is almost as durable as granite and is available in light white to gray colors. It is often suggested as an alternative to marble for those that are not up to the required maintenance that marble mandates. Customers can mix quartzite with granite to create the desired contrast within a kitchen. Ideally, to optimize on shipping costs, you should pack your containers full of a wide variety of natural stone slabs to create the best, varied inventory for your customers. You can certainly order more of some of the popular slabs, but the most popular slab of natural stone will not appeal to every customer.